Head Coach Al Letang wanted the Attack to play with emotion and get out to a quick start against the Colts this evening, the 3rd visit of the season to the Barrie Molson Centre. 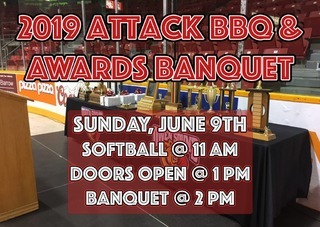 Coming off the high of an overtime victory last Saturday, the Attack looked to begin a winning streak in their first of three games this weekend. Kaleb Pearson must have been listening and he struck on the first shot of the game, a wrister past Jet Greaves and into the Barrie net just 18 seconds into the affair. 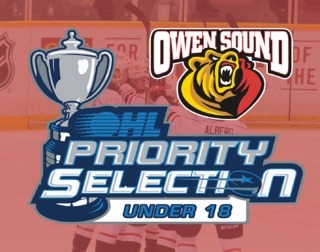 Owen Sound had an early lead and a pile of confidence and kept the pressure coming. After more chances for the Attack, Pearson scored his second of the game at 5:06 of the first period and all of a sudden it was a 2-0 game. 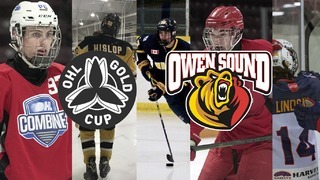 Owen Sound continued with the pressure and had chances to score more, but Greaves stood tall. 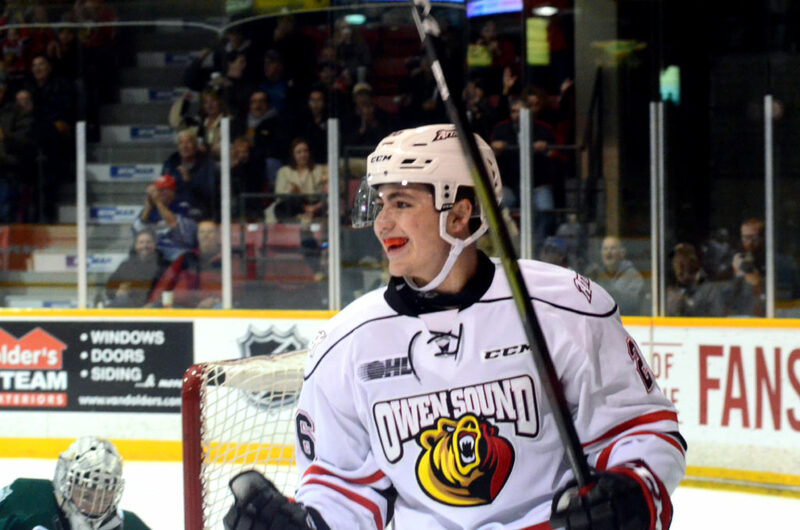 His counterpart in the Owen Sound net, Mack Guzda, also came up big on his opportunities and turned away all 4 Barrie shots in the period. After 20 the Attack led in shots 16-4 and on the scoreboard 2-0. Barrie began the 2nd period with plenty of pressure in the Owen Sound end, but Guzda stood up to the challenge and kept them off the board. It wasn’t until 15 minutes into the period that Jacob Tortora scored his 14th of the season and finally got the Colts on the board. It didn’t take long for Owen Sound to respond. Barret Kirwin was taken down on a breakaway from behind and the refs signaled to center ice. Kirwin went in on the penalty shot and made no mistake, ripping one five hole and restoring the two-goal lead just 24 seconds after the Barrie goal. Jason Willms added his 11th of the year to cut the lead to one with ten seconds left and the Attack would head to the locker room up 3-2. The 3rd period began with some rough play from both teams, but Barrie received the first man advantage. Despite plenty of pressure, the Colts couldn’t score and ended up committing a penalty themselves. It went to 4 on 4 and Aidan Dudas set Carter Robertson up for his 2nd of the season to double the Attack lead and put the Bears up 4-2 with 15 minutes left in the 3rd. Barrie continued to push in the later stages of the period with an empty net but Guzda stood tall and secured the 2nd win in a row for Owen Sound. Final shots on goal were 35-31 for the Attack. The Hatten Home Building Centre Hardest Working Player of the Game was Nolan Seed. The Mac Taylor Corporation Three Stars were Kaleb Pearson with 2 goals, Aidan Brown with 1 assist in his 100th career OHL game and Carter Robertson with 1 goal and 1 assist. 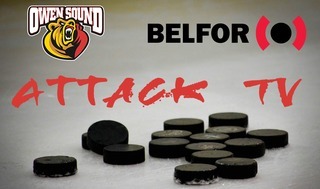 The Owen Sound Attack are back in action tomorrow night against the London Knights at the Budweiser Gardens. Puck drop is at 7:30 p.m. The Attack return to home ice Saturday night against the Kingston Frontenacs in our second annual REACH. Shoot. Score! game.